In summer, we grow a pot of lemongrass to chop & freeze in fall. 1. 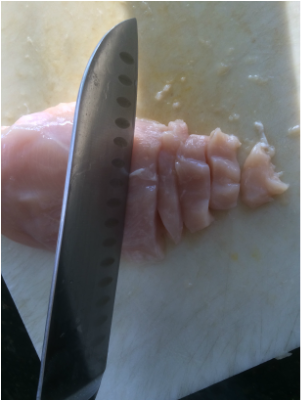 Cut chicken into thin 1cm slices, place into a pyrex container. 2. 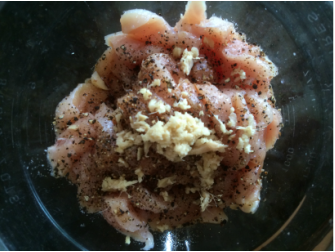 Mix together marinade ingredients in container with chicken, and set aside for a few hours. 3. Cut up the carrots julienne style and the onions long ways. 4. Add oil to pan and heat until just smoking. 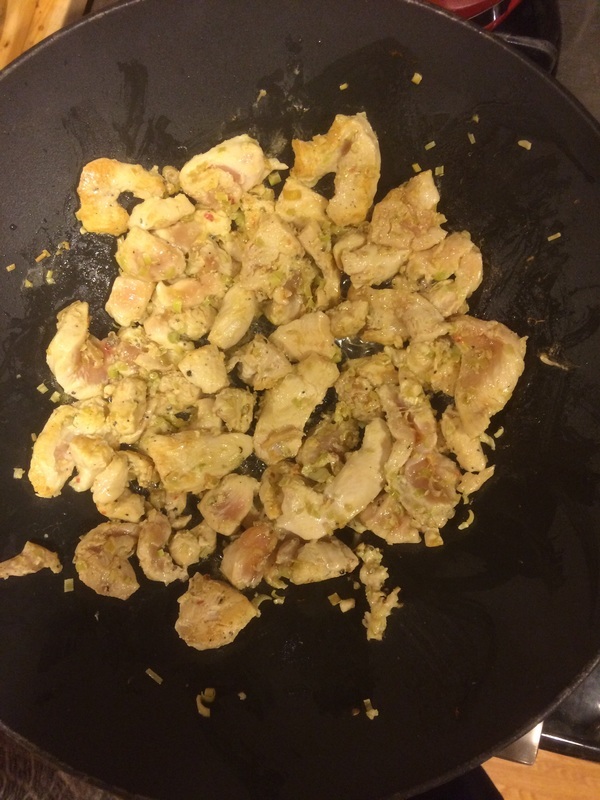 Add the chicken and cook for on each side until golden brown. Remove and set aside for later. 5. 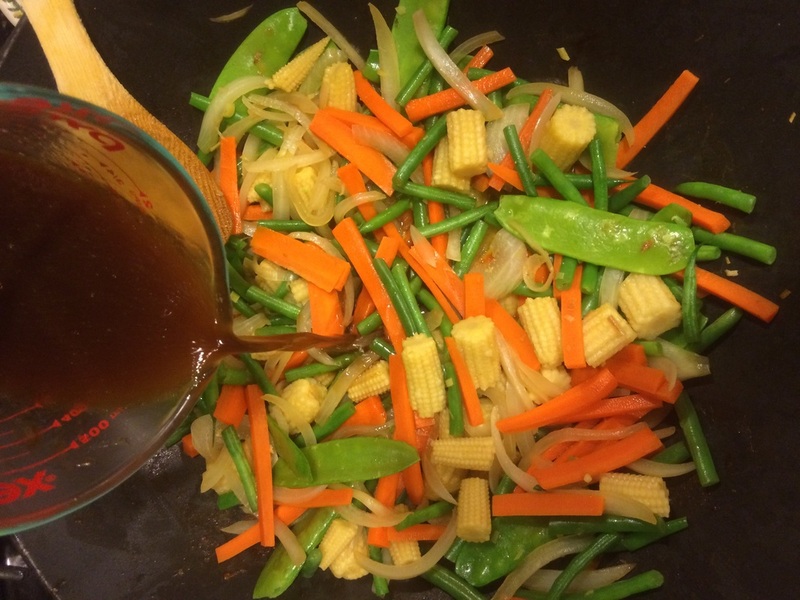 Add the onions, then the carrots and green beans, and then the snow peas and baby corn. Add more lemongrass for extra flavor. Cook for about 10 minutes until the veggies are nearly cooked. 6. Mix together sauce ingredients. 7. 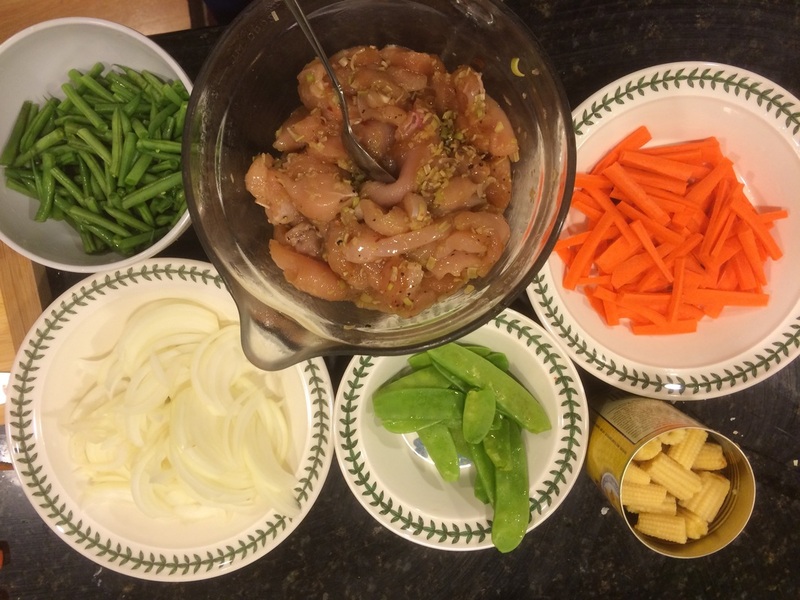 Pour in the sauce and then add back the chicken. 8. 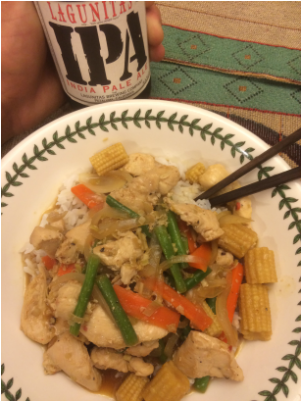 Mix together and serve with jasmine rice.